question, does it include digital releases or just the physical one? Not feeling the Zero type 2 version on the cover with Vile there in with his X1 armor. I KNEW someone would say this! I just picked it because it's more interesting visually and gels better with how I draw things. I tried the round pouldrons and the other buster, but didn't like the way they sat with the rest of the image. I tried bulking them out a bit and it looked worse, so I went with the X2 design. I agree with the change. In fact, change the story so that Zero doesn't keep dieing so much - no need to rebuild him, just have him out of commission until the end of the second "arc" from the damage he took in that fight. 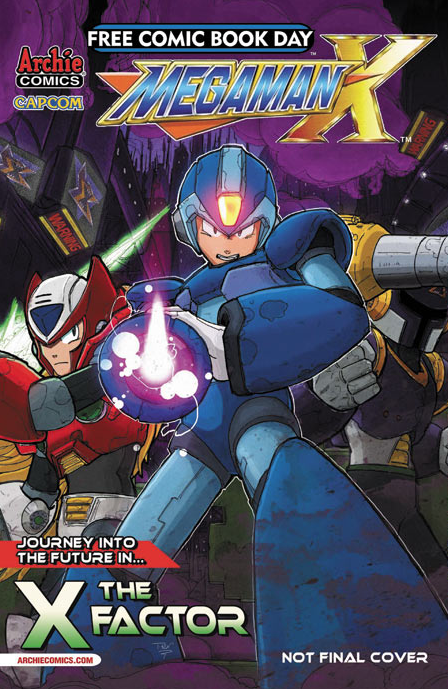 The X series started getting silly with how X and Zero were being treated... Zero being the sudden starlet who constantly dies and revives, and X being there too. If it focuses on X and Zero drops the revolving door passport, I'd be very very happy with that change. For those of you who'd whine about it... stuff it. There's a reason it's called "Adaptation" and not "Copy paste". Oh shut up. Every so often you drop in here with "not interesting." Tough. Don't comment at all why don't ya? Now now. He's just trying to appear "too cool for it". You know he's secretly reading the series religiously every night. So its not a mistake, that makes it sit better. I understand your creative liberty. At least it makes sense now.